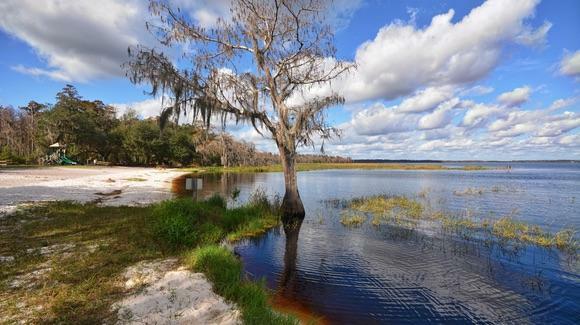 Florida has one of the best State Park organisations in the USA with around 158 parks open to the public across the state under the banner "Real Florida". Their aim is to preserve the natural and cultural heritage of the area. In total, the parks cover some 700,000 acres and attracted over 19 million visitors last year. The John Pennekamp Coral Reef State Park in Key Largo came top of the list with more than a million visitors alone. If you are touring or travelling by RV, then the State Parks offer the chance to camp overnight in beautiful natural surroundings. Many of the parks have campgrounds for tents and/or RVs. It is also possible to stay in lodges or cabins. Florida's very popularity is threatening the entire eco-system of the area and many animals and environments are in danger. One example is the manatee which is frequently maimed or killed by speedboats.